Dead or Alive: Dimensions is a martial arts fighting game. Dead or Alive: Dimensions marks the 15th anniversary of the franchise and the first on a Nintendo console. The game covers all 4 previous games in the series (Not including the vollyball games) as one big chronicle of the story. Dead or Alive: Dimensions is a 3D fighter presented in a side-on 2D view of both players. With the 3D setting of the 3DS, the game gains depth and allows you to distinguish between the foreground, middleground and background. As with all 3D games, seeing is believing. The game boasts many combo attack variations, you can punch, kick, throw and block and you can mix and match buttons to gain the upper hand on your opponent. When in a tag-team scenario, you can launch a devistating tag-throw in which both fighters of the team are involved. The controls of the 3DS lend themselves well to this game; the circle-pad makes combo attacks easier to control. The touchscreen has a list of all possible combos so you can have a quick look as a reference or touch one to have the AI automatically attack using the button combo selected. The game has 26 characters to choose from, since the start of the series where only 12 characters were available, as the games have progressed more have been added. The game also features 8 game modes which include the Chronicle mode which features the main storyline throughout the DOA games, Arcade and survival modes of various difficulties and online fight modes for both local and internet bouts. The game also rewards fighters with 3D figurines that can be viewed in the showcase and, if desired, take 3D photos of them. DOAD has SpotPass features which allow added data to be automatically downloaded to your 3DS console even when the game is not in play or even in the console. Some of the SpotPass downloads include new costumes for the fighters and the Throwdown mode. 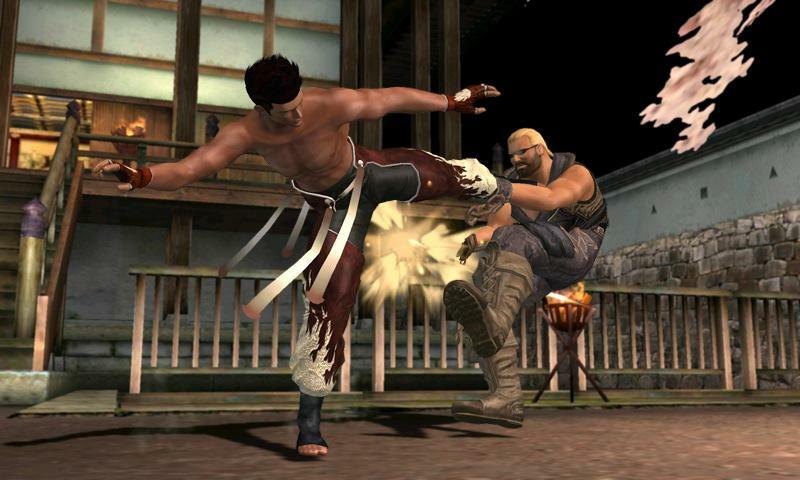 In Throwdown the fighting data of another player are sent to you and you can fight their favourite character at a difficulty level determined by their fight record online and offline. Overall, the game is a great addition to the series and makes up for the embarassment of the beach volleyball games. The graphics are great and really work well with this type of game. The controls are easy to use and can be easily picked up by anyone of any level. A definately worthwhile purchase for any fighting fans and even for those who have never played one before and want a good entry into the genre.